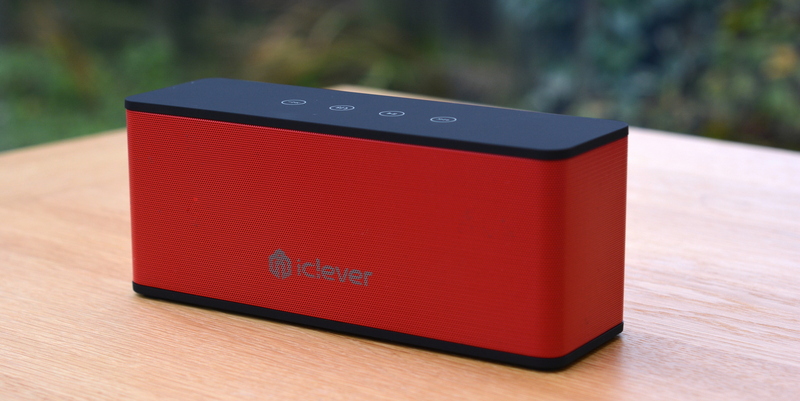 This is the 3rd speaker from iClever I get to review. This means not only I get to compare it with other audio speakers but also test it against the previous iClever offerings. 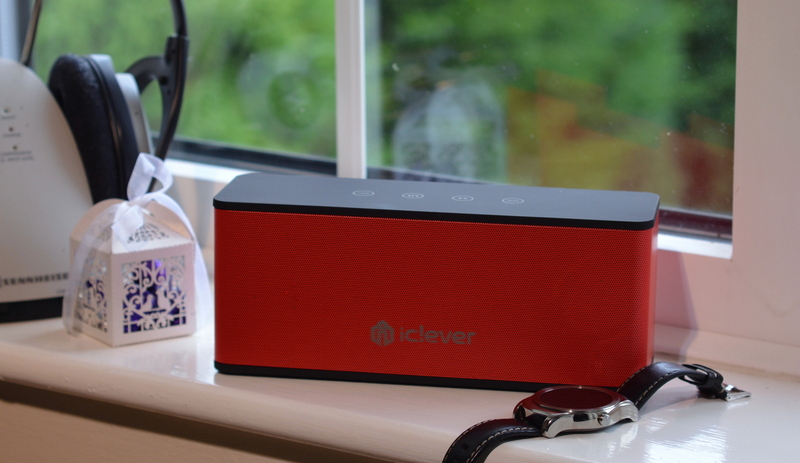 iClever BTS08 is the biggest of the devices I have tested so far. Because of this, I would expect it to punch the biggest sound, and sport the longest battery life. Let’s get to the meat of things and see how it stacks against the smaller brothers the BTS05 and BTS04 – reviews linked accordingly. The iClever BTS08 came with a micro USB charging cable and a 3.5 mm AUX cable. The speaker is shaped more like a box, and frankly speaking, I really like the design. I loved the BTS04 shape, but it was little too slim for that shape to work. The enclosure of this speaker is surrounded by a mesh from each side, with a plastic (but covered by a rubber coating) lid. The design works well and the finish is up to a good standard. There are some design changes comparing to the previous models. The ON/OFF switch is a slider now (placed at the back), along with the AUX and charging port. They are no longer covered by a rubber lid. This would mean there is no water resistance rating. Judging by the size of the speaker, this is not something I would take with me on a camping trip anyway. I’m not going to hold it against it. Gone are also the buttons from the top, which has been replaced by a touch-sensitive counterparts. This is something I would really like, if not the fact that the buttons are not highlighted, therefore you will find it hard to operate the speaker at night. Other than this, they are fine, I find it easy to control the music playback. The playback function is very similar to the younger/smaller siblings. You have your connectivity button, media controls, and volumes. I’m pleased to report that all the notifications are handled by a beep (unlike the BTS04). The iClever BTS08 comes with a conference call functionality. This is not something I would use as your business solution. While your caller can be heard loud and clear, I can’t say the same about my voice. It was on the quieter side, but still understandable. The distance to the speaker didn’t seem to matter. I started to wonder if there are any Bluetooth devices that are able to pass the Skype Echo test. I was almost not able to recognize what I was saying during the test call. I wonder what seems to be the issue here. The moment I switch to the headphone mic, the recording becomes perfect again. Advertised battery life sits at 14h and my overnight test can confirm it. While I run the test at about 30% of the volume, I believe there was enough juice to carry the sound through for few more hours. This is a definite strong point of each iClever speaker I had the pleasure to look at. Due to the size of the speaker I was expecting the lower tones to be more capable than on the smaller siblings. While this is true, the overall sound was better balanced on the BTS05. You can go loud without distorting the sound, however, I wish the high tones were less muffled. I was trying to play around with an EQ to get little more out of the speaker, but the built-in into the Play Music by Google EQ was not sufficient enough to get the sound I would be pleased. The sound is not bad, but when stacked next to the BTS05, you would expect little more out of it due to the speaker’s size. I think it is clear to me now. The BTS04 has been a portable solution, and the iClever BTS08 is a home design. This makes the BTS05 the choice of the people who are unable to decide what they want from a portable speaker. That’s totally OK with me. The customer like me or you are the ones who benefits here. You get to look at the iClever choices and pick something you like most. I’m not the only one with similar thoughts about the lack of the high tones. This means that I’m not going deaf. My understanding is that the speaker has only 2 internal speakers to produce the sound. No dedicated high tone speaker. Overall the Amazon customers are happy with their choice. I’m not surprised as so far each iClever device I had the pleasure to test had good value and quality to it. 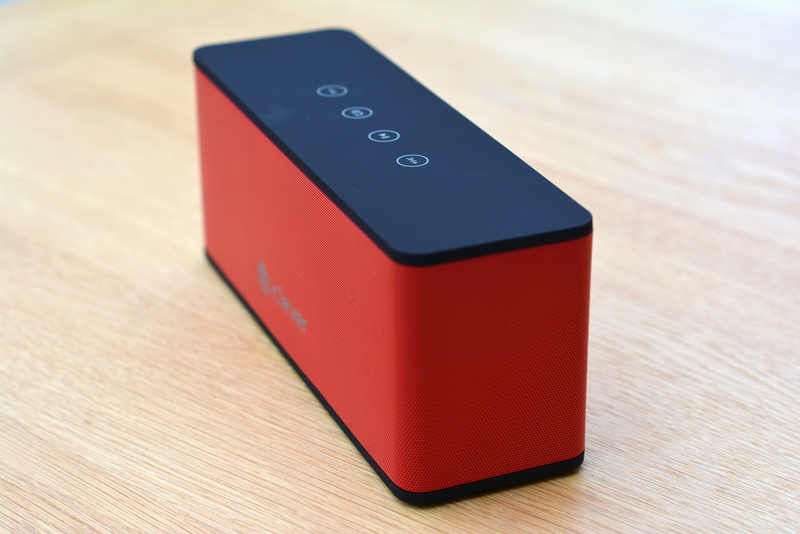 While few things could be improved, the speaker’s nice design and long battery life will appeal to a lot of people. Personally, the BTS04 is still my favourite. It’s the size, battery life and the reasonable (for the speaker’s size) sound that does it for me. If you need something with a bigger punch, however, go ahead and take a look at BTS05 and iClever BTS08. I’m sure you won’t be disappointed. Just be sure not to use it on Skype! The iClever BTS08 has been provided to me for the purpose of the review. As usual, with all my reviews I reserve the right to an honest critique of the product.